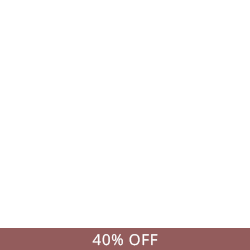 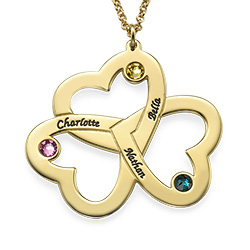 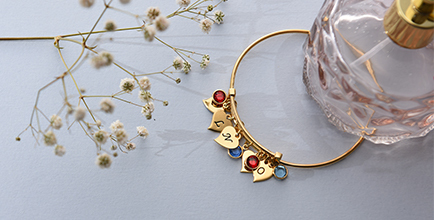 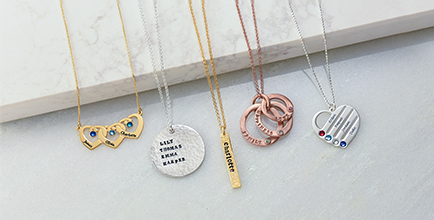 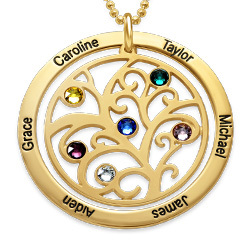 The most meaningful gift is one that represents family, like this birthstone necklace for mothers. 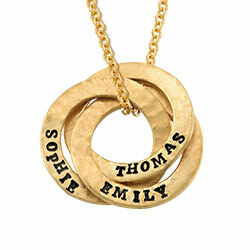 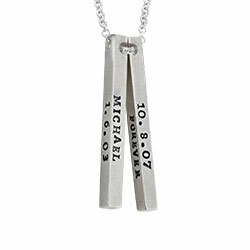 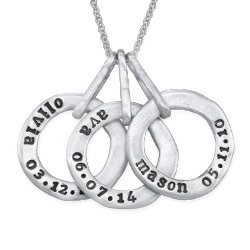 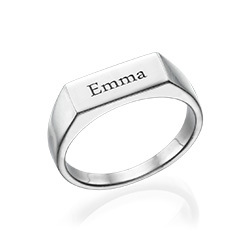 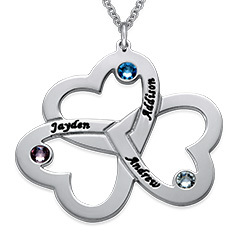 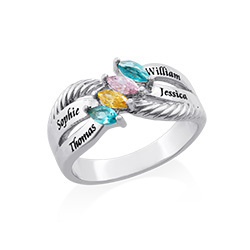 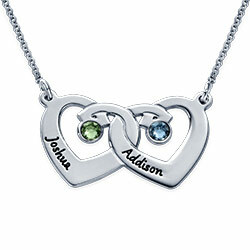 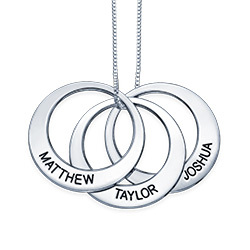 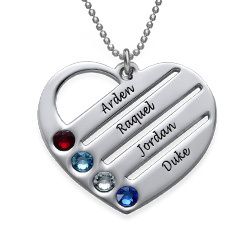 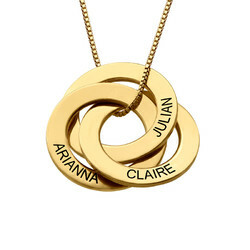 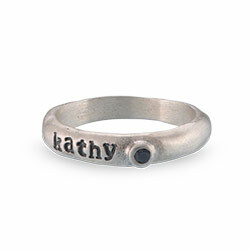 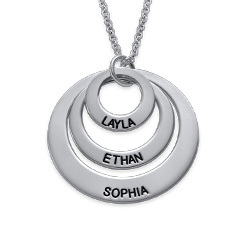 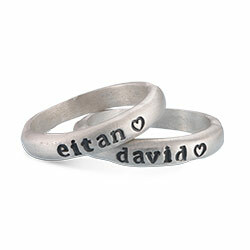 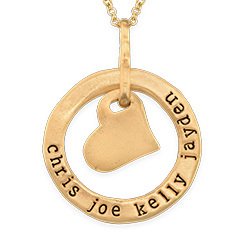 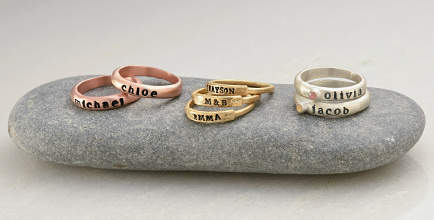 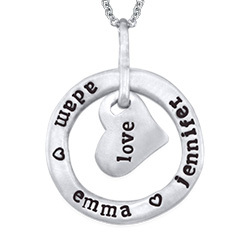 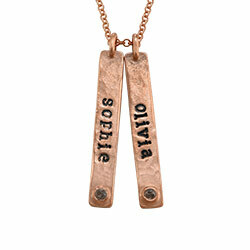 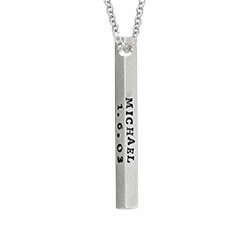 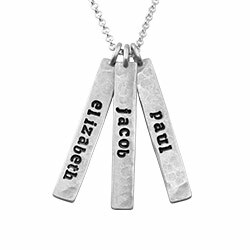 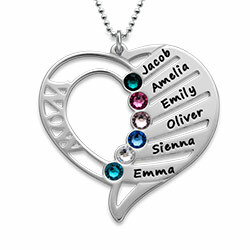 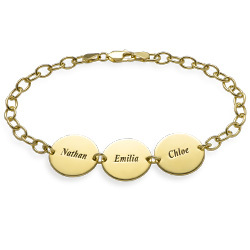 Engrave the names of up to four loved ones to the large silver disc to accompany their birthstones on the smaller disc. 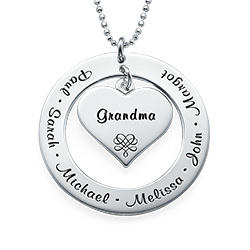 This silver item is affixed on a bead chain.